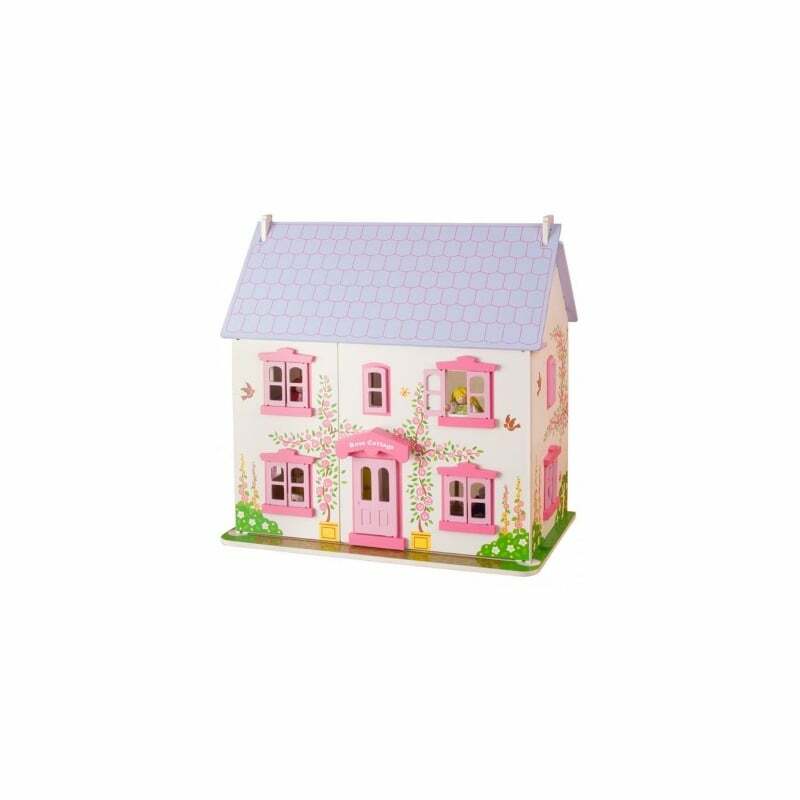 Rose Cottage is the template by which many other dolls houses are judged. Beautifully constructed in wood with lift-back roof pieces, loft access and easy access to all the rooms, theres even a sliding patio door to the rear. 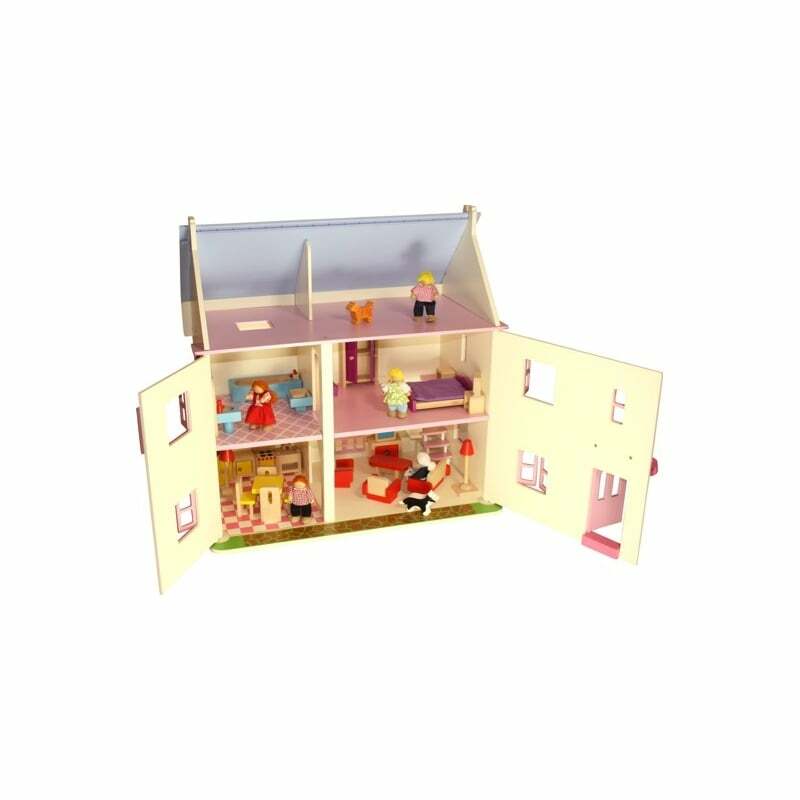 Includes 27 pieces of furniture, a six piece doll family plus a dog and a cat. 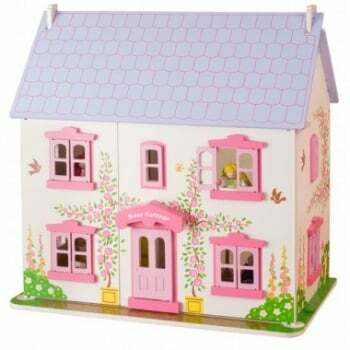 Every room is magnificently furnished but your childs finishing touches are always what makes a house a home. Consists of 36 play pieces. Made from high quality, responsibly sourced materials. Conforms to current European safety standards. Age 3+ years. Requires adult assembly. 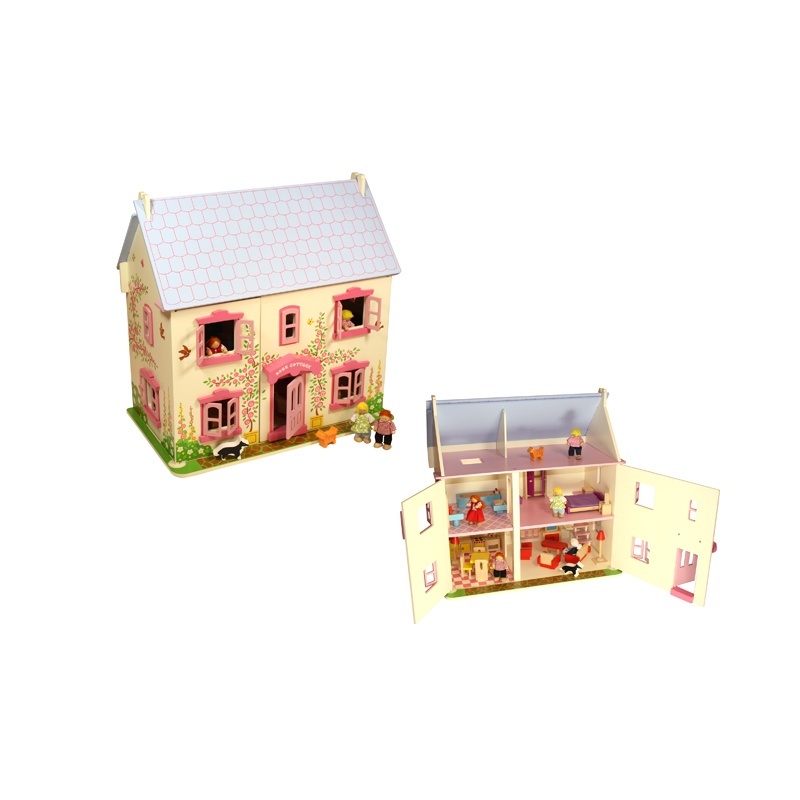 Height: 600mm, Width: 590mm, Depth: 360mm (assembled).